On every corner of every town sits the same old pizza place filled with mass produced pies and subpar salad bars. Boring! 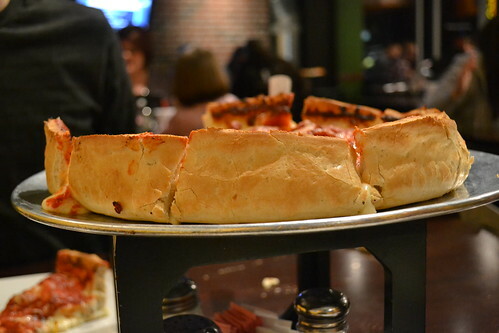 Very few places serve Chicago style pizza. You know, the mile high pies filled with cheese, sauce and your choice of meat. The pizza that you can only handle one piece of because of it's sheer enormity. It is unique, it is delicious and you can satisfy your little craving of Chicagoland right here in Tulsa. 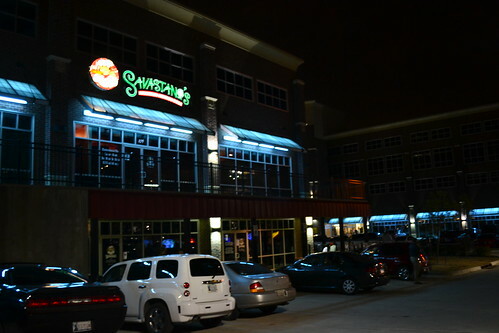 Savastano's is a family owned restaurant, using family recipes that make their restaurant stand out from the rest. That, and their claim to fame with the Chicago style pizza. 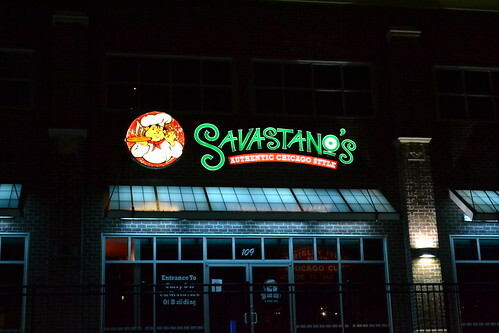 From my experience of Chicago and my experience of Savastano's, the two are not really one in the same, but that is not necessarily a bad thing. 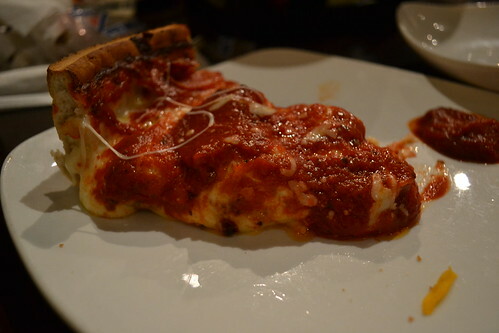 The crust is delicious, but doesn't seem to be the traditional consistency/density of most deep dish pizzas. 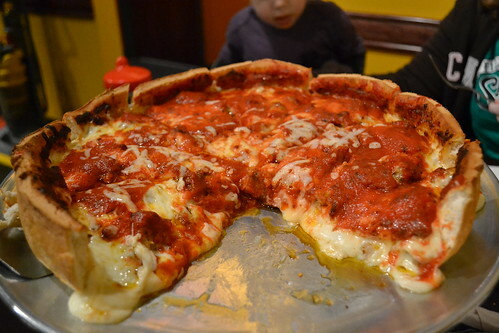 It seems to be more of an Oklahoma-Chicago style pizza, if there is such a thing. 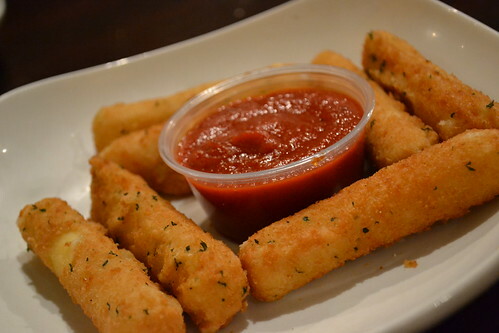 The mozzerella stick appetizer that we ordered was okay, but reminded me of something frozen and from a box. But that didn't keep me from eating them. The atmosphere is another perk. They recently moved from a small, overcrowded room seating around fifty, to a hip two-story joint that gets you seated much quicker. Though you may be seated fairly quickly, you're still going to have to wait 40 minutes for your pie if you order a deep dish. So be prepared and order the salad bar to tide you over. The menu is vast, full of flavorfully unique thin crust and deep dish options. They all have quirky names special to Chicago, such as "The Brookfield Zoo", "City Dump" and "Wrigley Field". The prices range from $9 - $28 a pie, depending on what size and which ingredients you choose. It can get rather expensive, especially with a $6 salad bar. But like I said, the salad bar is worth every penny. 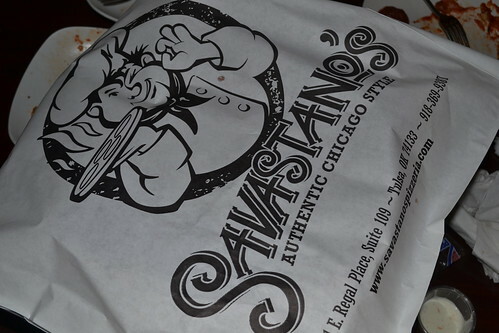 Though I probably prefer Savastano's thin crust to their version of Chicago style deep dish, it's definitely a place that we enjoy and revisit on occasion. It is the perfect place for group gatherings, and is definitely the spot for something different. Sometimes, you just feel like escaping the hubbub of city life and venturing off the beaten path to explore little hole-in-the-wall local eateries in the suburbs. These are some of my favorite places to go because they almost always guarantee quality food and a sweet sense of community. A small town feel with big town flavors. This is exactly what I found at Scott's Old Fashioned Hamburgers in Bixby, OK. 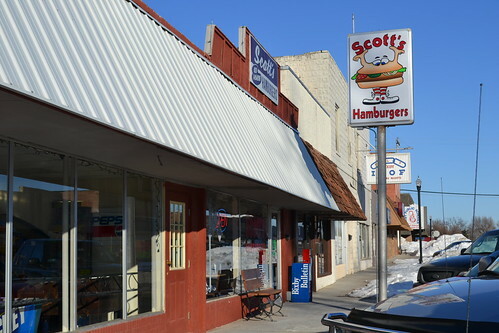 Located in the heart of the town, Scott's represents the typical burger joint that is a must for any small town. It seems to be the perfect gathering spot for sport's teams after the big game, church groups on a Wednesday night and the table of aged men who gather to hash over the town gossip. It is one of those places that when you walk in and are greeted with a warm smile, you feel like you belong. The atmosphere isn't really anything to write home about, but that's what makes diners like this what they are. 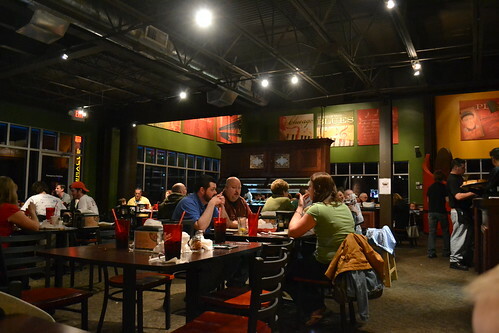 While it is clean and pleasant, the focus is certainly more on the food than the decor. They have a variety of options on the menu, including chicken sandwiches, salads, several unique sides (the corn nuggets are a favorite with my family), and my little boy's favorite - popcorn chicken. 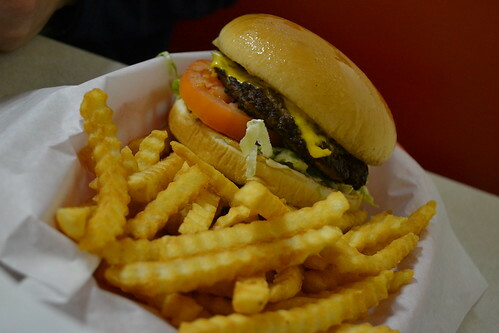 It's nice to go to a burger joint that has options other than burgers, but in my opinion, there's only one thing to get at Scott's ... and that is the Deluxe Burger Basket. When I think of a good burger, I always think of a "shiny bun". If it doesn't have a dab of grease atop the bun, it's probably not going to be the burger for me. 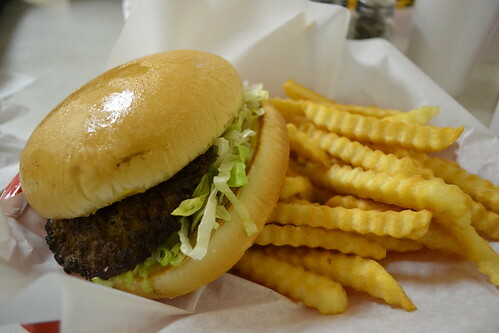 I was thrilled to see the shiny bun, an indication of a homemade, old fashioned hamburger. The smell alone screams "real, fresh meat", that you rarely ever experience at fast food places. And when you lay eyes on the generously sized burger, you can see that it was made fresh on the spot, directly off the grill, just for you. In my opinion, the only way to eat a burger. It took about fifteen minutes to receive our order, but if that is what it takes for quality and freshness, I'm willing to wait. 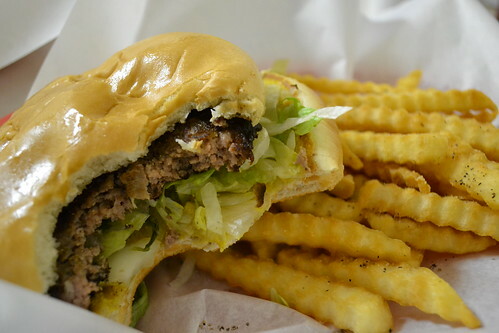 The crinkle cut french fries are hot and somewhat crispy and accompanied the burger excellently. Scott's absolutely knows what they're doing in the area of hamburgers. I recommend it to anyone with a craving and wanting to escape the city for a little bit. Comfort Mexican food. 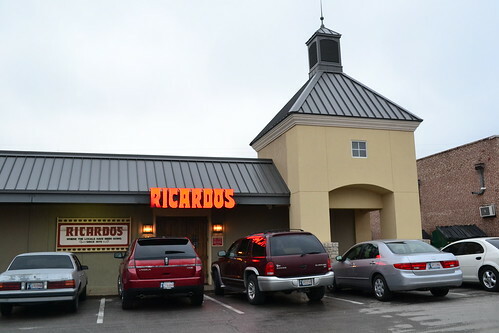 That is what comes to mind when I think of Ricardo's. I have been going there since before my first memory, thanks to my parents who have continually frequented the establishment since it's opening year of 1975. They were 19 when the joint began it's story and often had date nights at the "fine Mexican restaurant". Thirty something years later, they relive old memories and create new when they swing open the unique large wooden doors and sit down for a consistently excellent meal. My brother and his family and my own little family eat here at least once a month. I guess you could say it's in our blood. 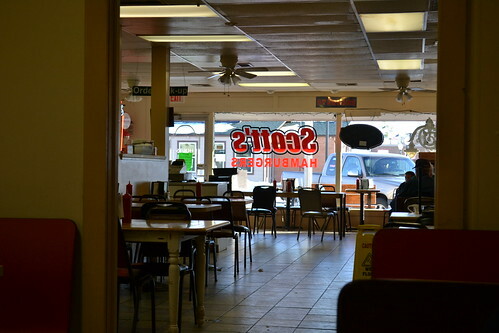 The place was created for the locals to come and enjoy good Mexican food. Tucked away in a shopping center, it's not a place that would bring in much "out of town" traffic. You have to seek it out to get there, and people have been flocking to it's same location for 36 years. There are very few empty table, if any, when we go. And on a weekend, it is always a full house. Since this is a favorite establishment of mine, I know what I like and I never waver from it. What I order here I have never ordered at another restaurant simply because I know it could never measure up to Ricardo's. And that, my friends, are the chile rellenos. Though the menu is appealing and authentic, I never crack it's cover. The "number 4 reversed" is my standard dish of choice and I must say, it will blow your mind. 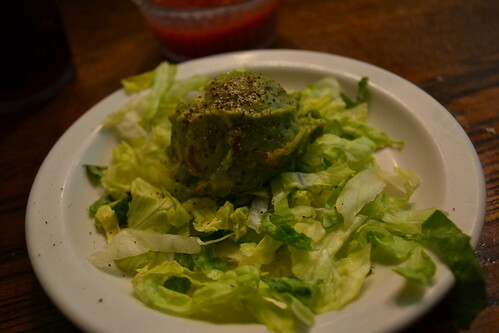 Each combination dinner comes with a scoop of guacamole beforehand, along with your standard chips and salsa. 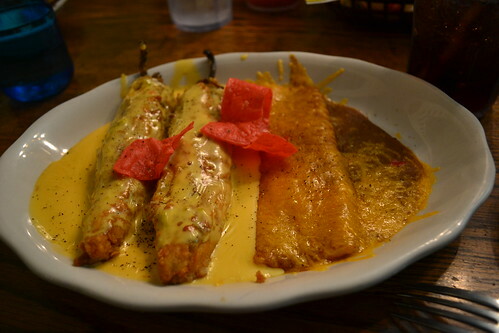 The "number 4 reversed" consists of two chile rellanos (mild Anaheim pepper, skinned, stuffed with cheddar, battered, fried, and smothered with chile con queso) and and an enchilada of your choice. I choose cheese. Now, what's this "reversed" business all about, you ask? Well, the standard number 4 is what I stated above, but flip flopped. Since the rellanos are so unbelievably fantastic, I opt for two of them instead. It's the perfect set up and when all of my family gets together to eat, we always each order "number 4's reversed." It's pretty easy for the waitress. This particular dish will set you back $9.25, and it is more food than you could possibly want. The service is always quick and super friendly. The atmosphere is one of my favorite parts of the dining experience, since it hasn't changed since I was a wee one. 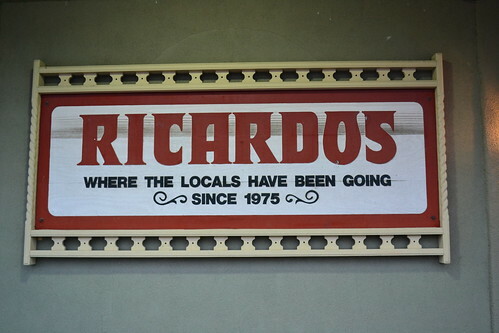 Walking into Ricardo's has a similar feeling of going back home. 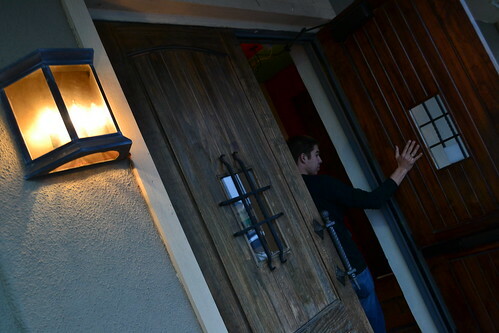 It is relaxed, cozy and the staff makes you feel like they've been waiting to see you. 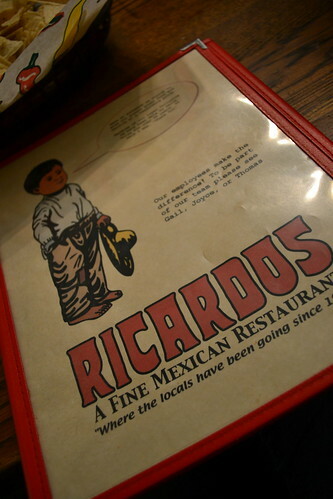 The food speaks for itself and stands completely on it's own when comparing Ricardo's to any chain restaurant out there - there simply IS no comparison and it alone will keep you coming back undoubtedly. But the family feel that you get when you dine here is something that will always stand out as exemplary. There's a reason the locals have been coming back since 1975. Follow me as I wander Tulsa enjoying the flavors of the Oklahoma grown and locally owned. I haven't a culinary title or degree; I am simply a wife and mother who has a passion for good food and the fine people who create it. Exploring new dishes and old diners is my idea of a great adventure! I hope to tickle your taste buds, expand your horizon and urge you to support the local joints of your town. They are the treasures that make America beautiful.